Forget about Apple and Samsung: Misfit’s first smartwatch is the one to watch in 2017. Up until recently, Misfit has been content to stick with screenless fitness trackers and smart analog watches. The Vapor changes all that. 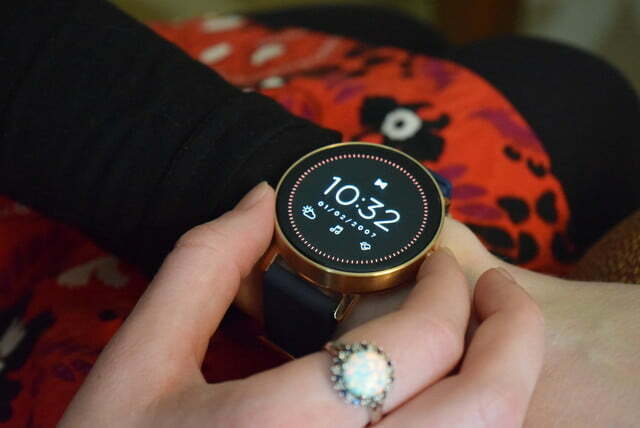 It is Misfit’s first smartwatch with a full touchscreen. 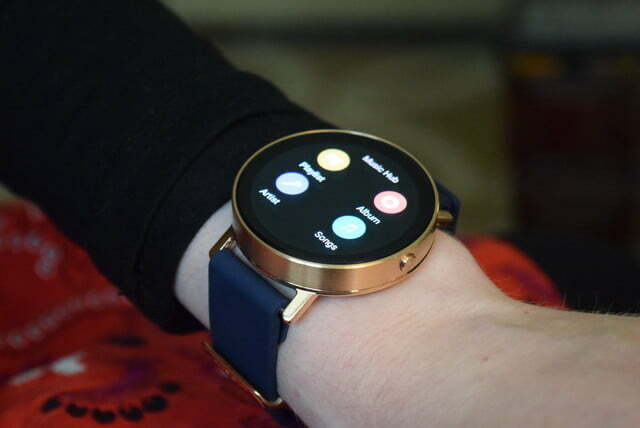 Unlike most of the smartwatches Fossil Group’s brands have released, the Vapor isn’t running Android Wear. 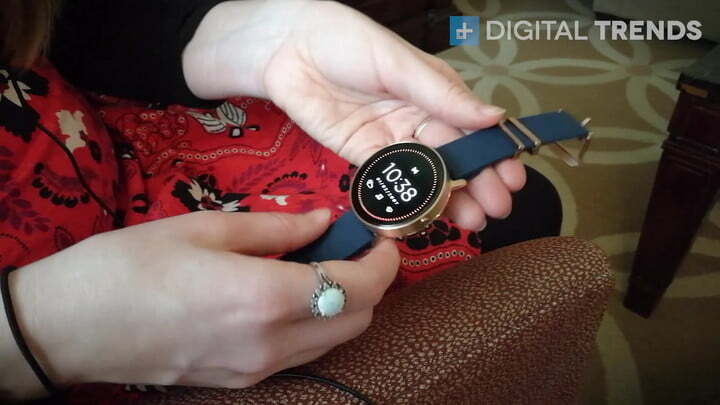 Misfit is still working on the software experience, but the watch already looks very polished. 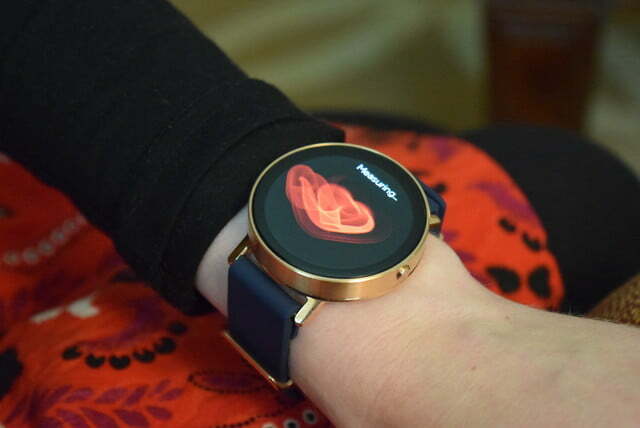 Here are our first impressions of the Misfit Vapor and its software. 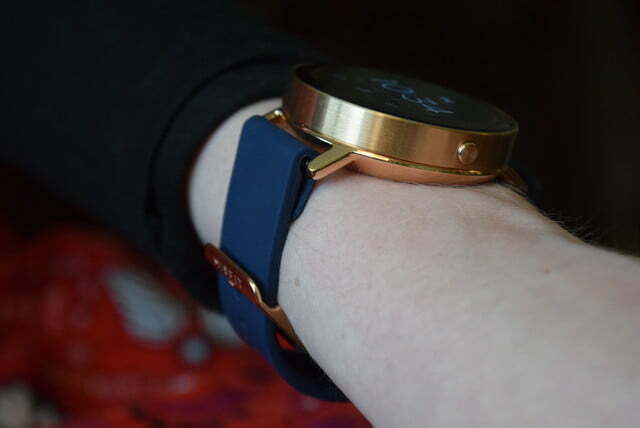 Misfit is well known for its sophisticated, simple design language. The Vapor continues in that vein with a fully circular 1.39-inch AMOLED screen, sleek metal watch casing, and silicon strap. The casing comes in a rosy gold or black finish and there’s only one button on the side, which serves as the power and back button. 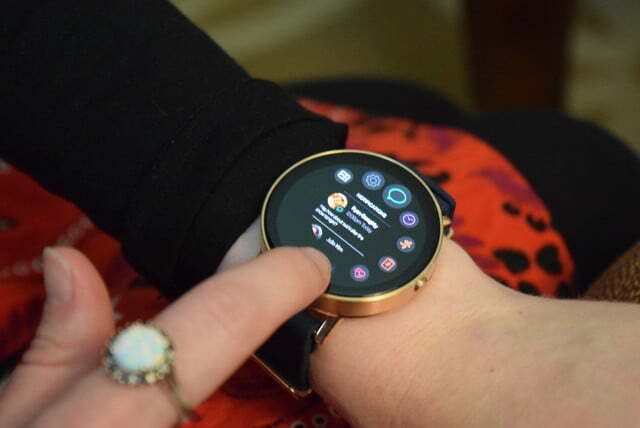 It’s not terribly thick for a smartwatch, and it looks perfectly at home on both male and female wrists. It’s always a pleasant surprise to find a smartwatch that suits my slim wrists. 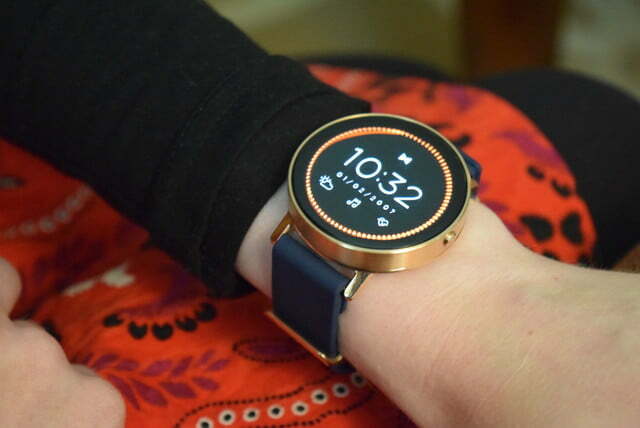 Much like the Moto 360, Misfit’s Vapor is a solid option for women who want a smartwatch. It’s also worth noting that Misfit typically introduces new accessories, bands, and color combinations for each season — just like a fashion brand — so you can expect to see a variety of styles and metal finishes to follow. 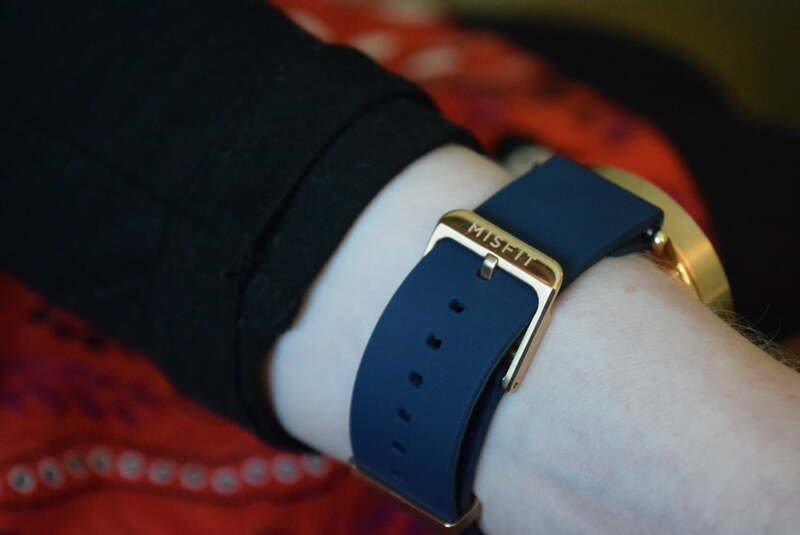 The bands are very easy to swap using Misfit’s patented button system. Instead of the typical pin mechanism that most watchmakers use to change straps, the Vapor uses two little round button-like pegs. 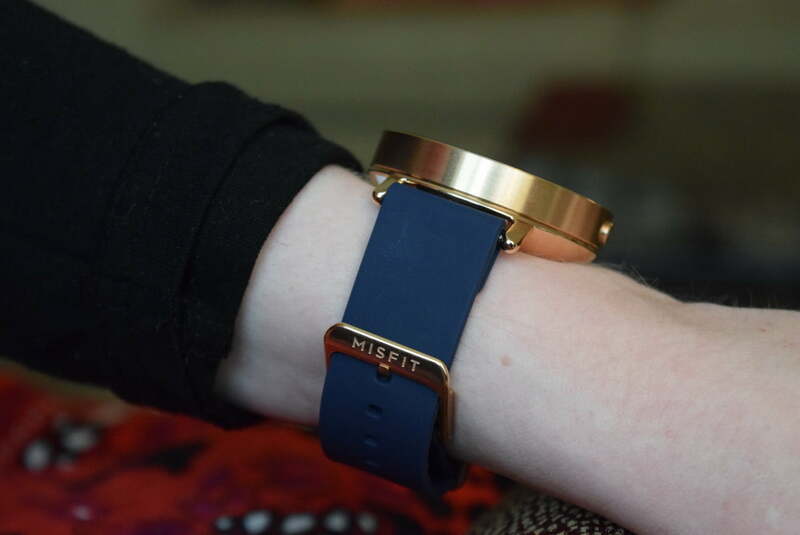 Of course, that means you’ll have to buy your watch straps from Misfit, but it is a much easier process. It’s early days yet for the Vapor, so the software is far from final. Right now, it’s just the broad strokes, but it looks great. When you tap on the watch face, you’ll see a cool animation that looks like a ring of fire dance around the bezel’s edge to tell you how close you are to reaching your goal. Small icons on the watch face trigger apps like weather, music controls, and more. You can access all your apps with a press of the side button. 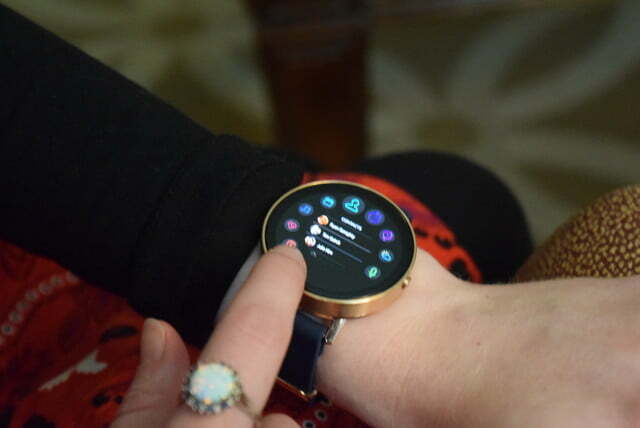 All your apps will range themselves along the circular bezel of the watch, so you can rotate through them with your finger just like you would on an old-fashioned phone dial. You just tap on an app to use it and hit the side button to get back to the previous screen. It looks a lot like Samsung’s Tizen circular interface, which is on the Gear S watches. Of course, all this could change over time as Misfit refines the experience. However, the basic flow should be similar on the final product. The software was slick and lightning fast in our quick demo, which is no doubt thanks to the Qualcomm Snapdragon Wear 2100 chip inside the watch. Misfit also added 4GB of storage for music, so you can listen to your tunes on Bluetooth headphones without having to carry your phone around. The watch will also likely have fitness tracking features and its heart rate monitor will ensure that your metrics are more accurate. 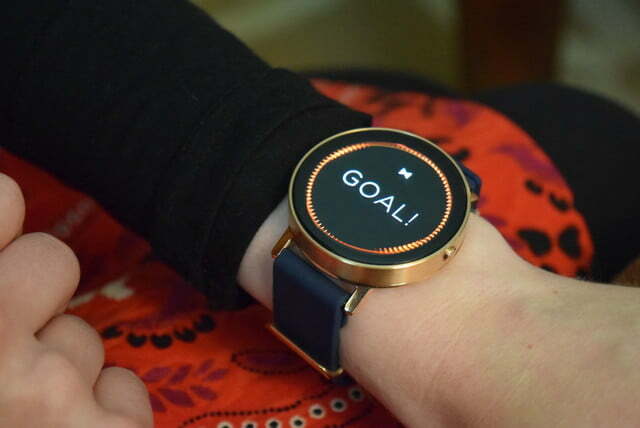 Misfit said it will have a workout/activity tracking app, but we haven’t seen the final version yet. 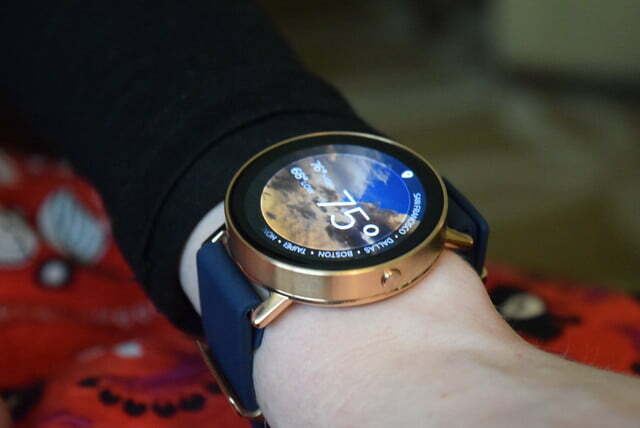 The Vapor looks like a very intriguing new take on the smartwatch. As for other apps, Misfit knows it doesn’t have the gravitas to set up its own app store and entice developers to make apps for a unique operating system, so the Vapor will have a few stock Misfit apps, the ability to reply via voice message, and a steady flow of notifications from any app on your smartphone. It’s a wise decision, but it will lessen the number of things you can do on the watch itself. Misfit argues that simplicity is better than being overwhelmed with features, though, which is also a fully valid point. The Vapor is more of an advanced version of an analog smartwatch that has a screen than it is an Apple Watch competitor. 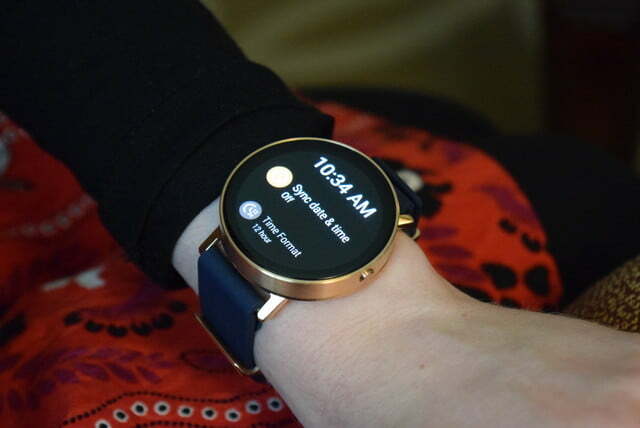 However, it will likely appeal to those who are interested in trying out an attractive smartwatch for less money. Its $200 price point is $150+ below the cost of every Android Wear smartwatch and the latest Apple Watch. The Vapor looks like a very intriguing new take on the smartwatch with its custom software and fashion-conscious design. We look forward to testing the final product later in 2017. 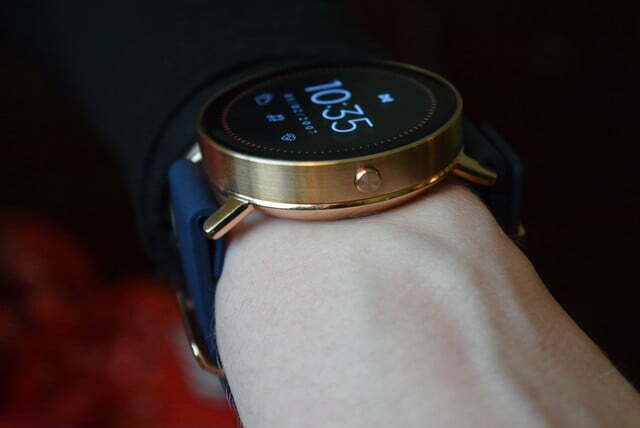 Misfit has yet to give us a firm release date, so we’re left to hope the Vapor materializes before 2017 vanishes.